Experience one of Boston's treasures. Order fresh online or dine in at our historic waterfront location. 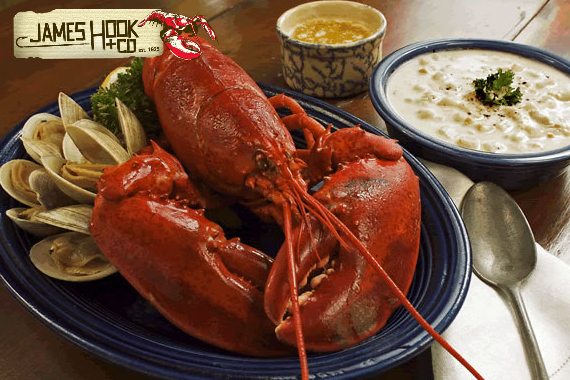 Established in 1925...we know lobster! "Time to bring back some fond memories!" "There's no better way to show love to the community. #LocalLove"
"We'd love to hear about the last picture-perfect moment you shared with us." "We can't wait to hear what your favorites are!" "We'd love to hear what your favorite is!" Very freshly made lobster roll with slightly touch of mayo. The bread is very simple without any butter which I like it so it's not too heavy . Yes, I'd like to receive news from James Hook & Co.
Sign up for the James Hook & Co Newsletter!